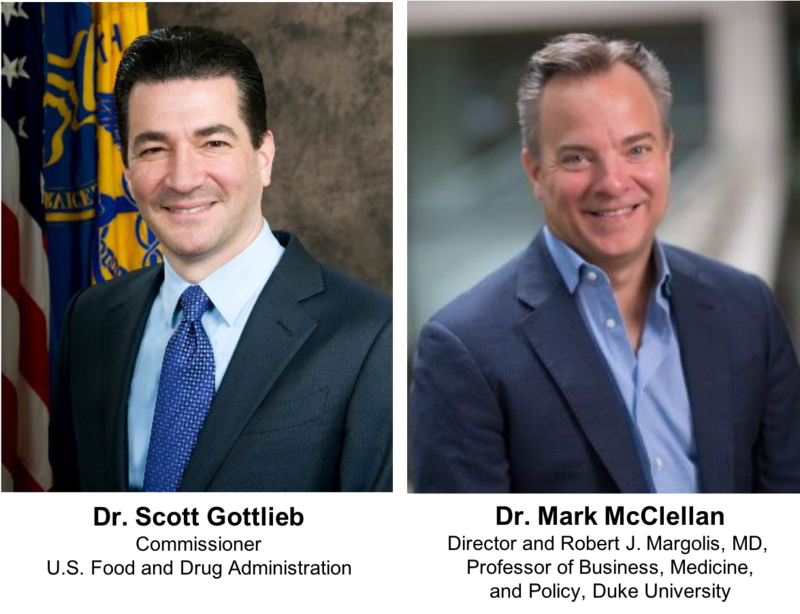 Please join us on March 29 at 08:30 to 09:30 a.m., when the Alliance for a Stronger FDA will be hosting a conversation between current FDA Commissioner Scott Gottlieb and former FDA Commissioner Mark McClellan. The conversation will focus on major accomplishments at the FDA over the past 2 years, and how those accomplishments will have a long-term impact on the FDA. This event is open exclusively to Alliance Members and to members of the media in the order RSVPs are received. For more information about the Alliance, its activities, or membership, contact Steven Grossman. For more information on this event, contact Samantha Beard.